I used to grow up with many edible plants in my garden in Penang. Oh how I missed the precious moments of picking fresh produce from my garden! I remembered that we had an abundance of ladies’ fingers (aka okra), four-angled beans (aka kacang botol), luffa (which was left fully ripened to turn into scrubbing sponges), mango trees, black sugar cane and last but not least, three papaya trees. With my fondness towards palm trees, the similar fondness has extended to papaya tree which kinda resembles a palm tree no? Funnily I used to dislike the taste when I was a kid. I have grown to like it now, probably because it’s become so scarce for me here in Australia. 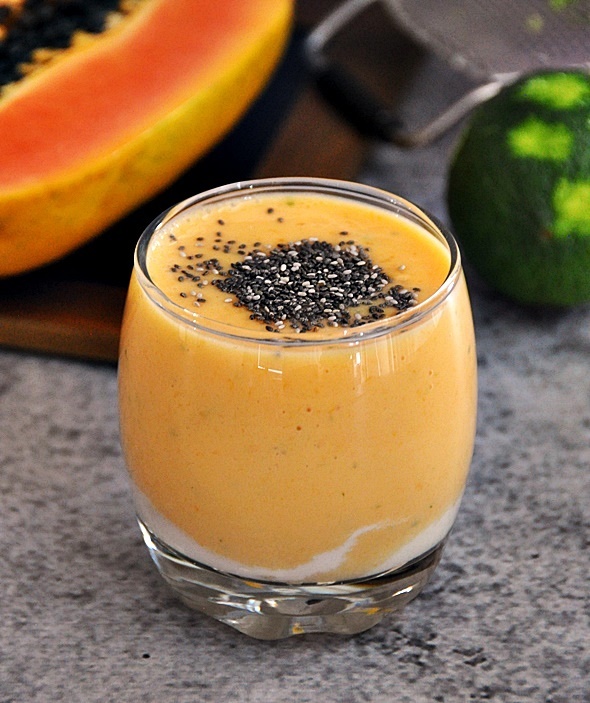 This papaya smoothie is a popular Taiwanese drink. 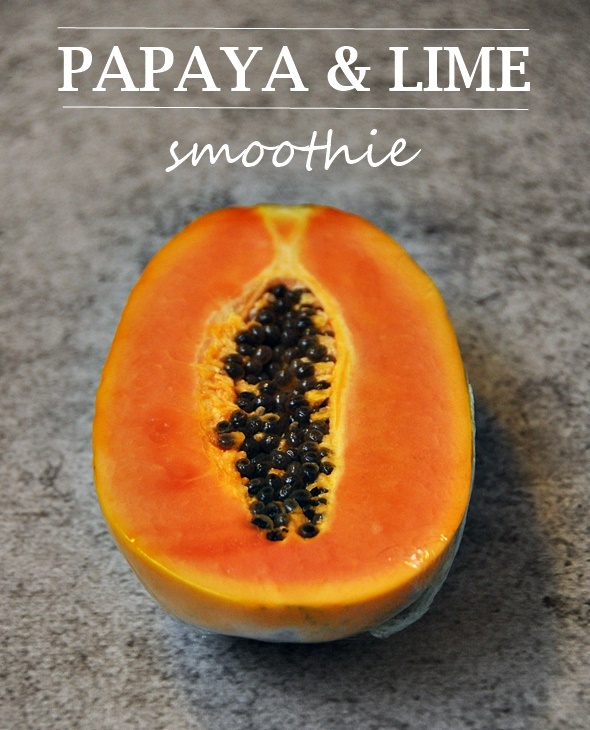 Since I really like how lime complimented the taste of papaya, I decided to stir in some lime rind into the smoothie. 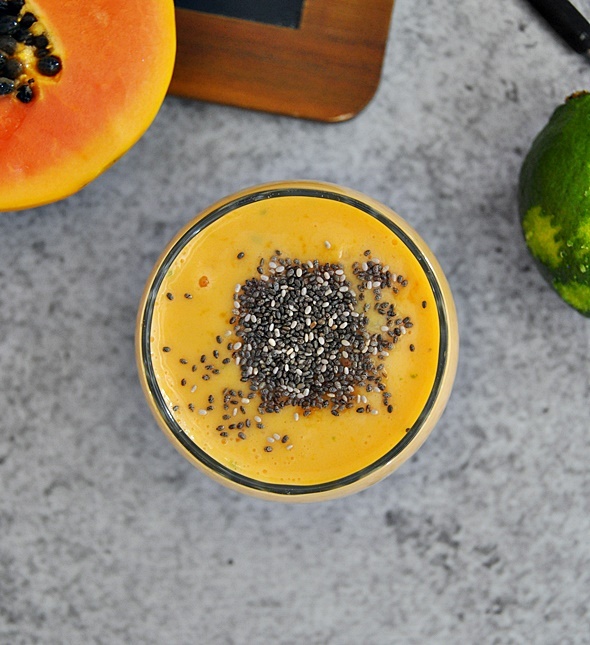 It was refreshing, naturally sweet and nothing feels more tropical than having a papaya drink in your hand. Enjoy! 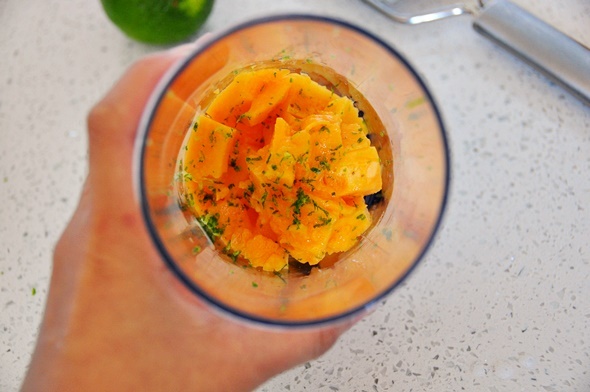 Scoop the flesh of the papaya into a tumbler. Add lime rind and soy milk into the tumbler. 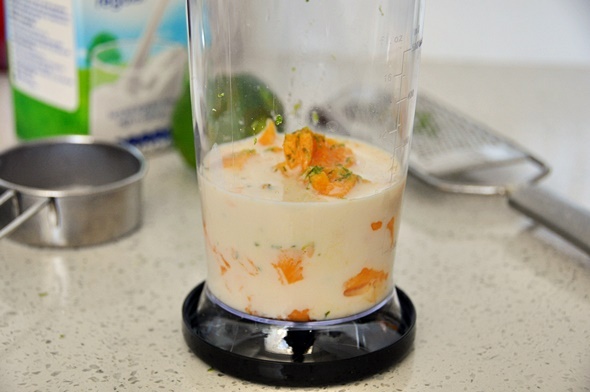 Use a stick blender to blend until smooth. Top with chia seeds and serve immediately. You will also need a stick/tall blender.